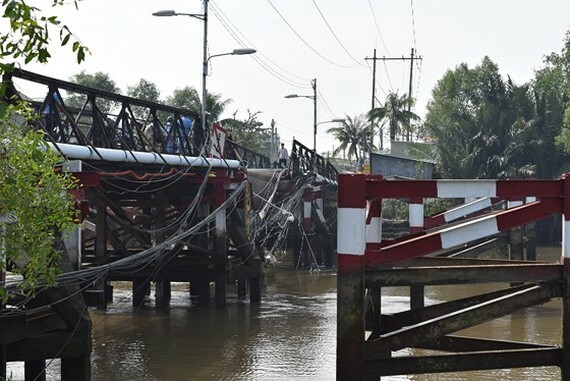 According to Vice Director of the Ho Chi Minh City Transport Department Vo Khanh Hung, vehicles under two tons are allowed to travel through Long Kien bridge in Phuoc Kieng commune, Nha Be district yesterday after over two- weeks for repair. However, in order to ensure safety for vehicles, trucks with a weight of over 3.5 tons are banned to travel through the bridge. Earlier, the Long Kien bridge suddenly collapsed as a large amount of trucks traveled through the bridge at the night of January 19. The incident caused many people with panic disorder and vehicles fell into the river.